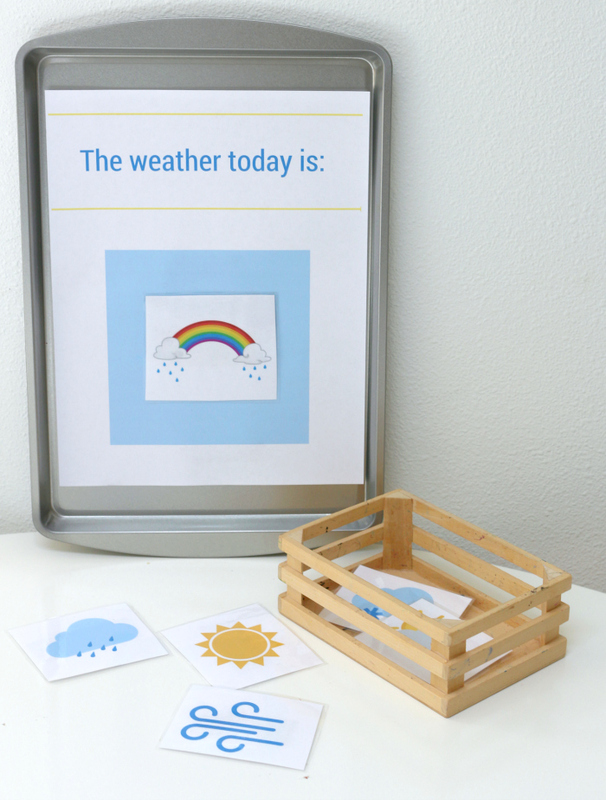 This printable weather station is a simple way to introduce observing the weather to preschoolers. 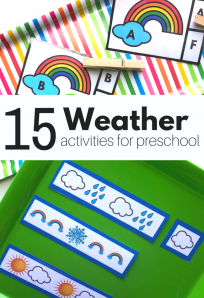 If you are a preschool teacher like me, you probably check the weather at circle, or maybe you do it while you are outside with a song like I do. 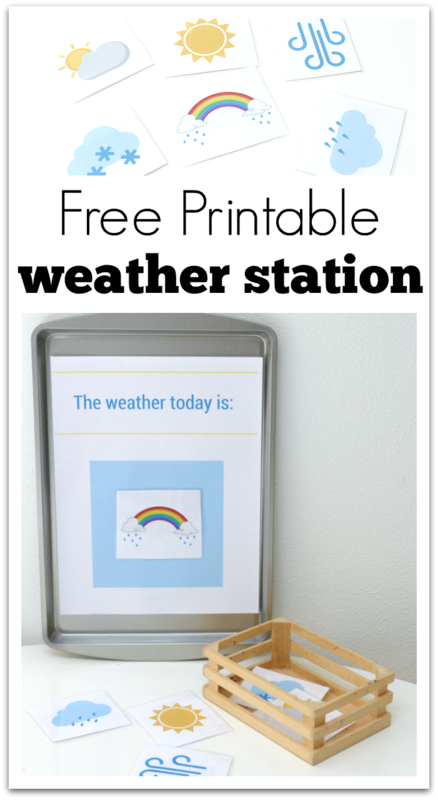 Even if you already have integrated weather observation into your day, you can still use this printable weather station in your class. 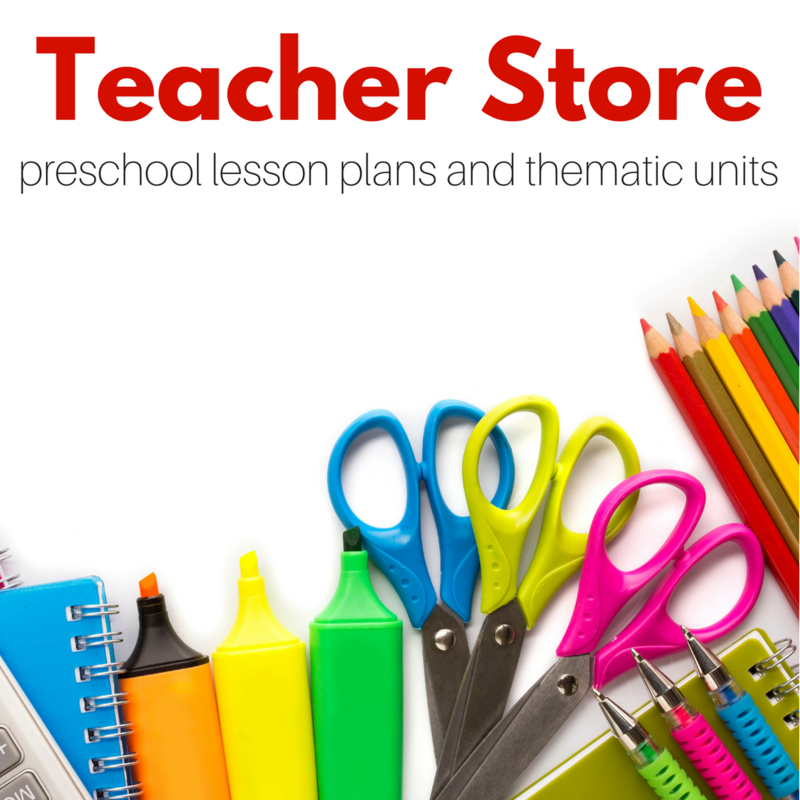 I use it during free choice and allow my students to play weather forecaster. 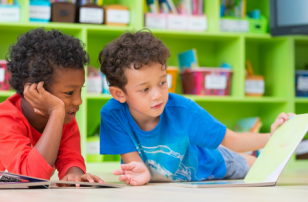 They can report the actual weather ( around here it’s bound to be rain) or they can imagine what it might be like if there was sun or snow or a big wind storm! 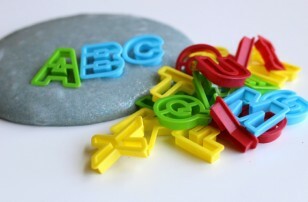 Just like with all areas of learning in early childhood play should be the vehicle. 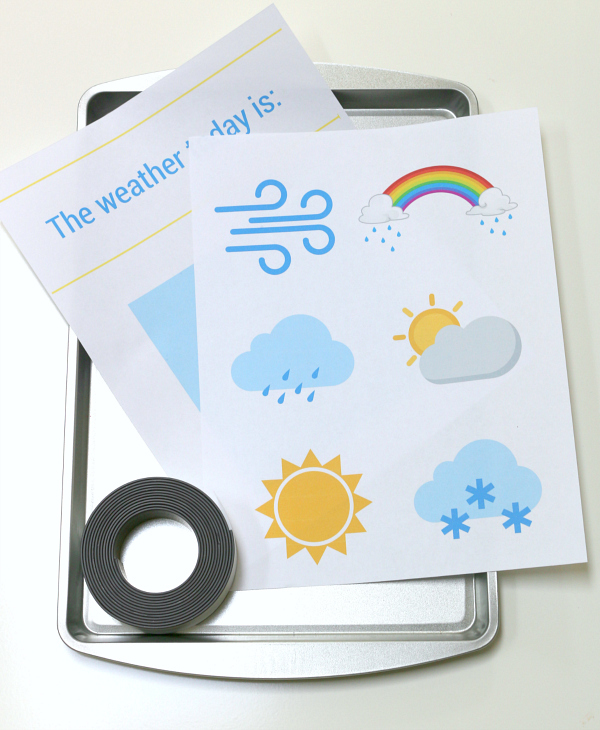 Gather your materials; you will need my two weather station printables (click here for both printables ), a cookie sheet, some magnetic tape, and access to a laminator or some clear contact paper. 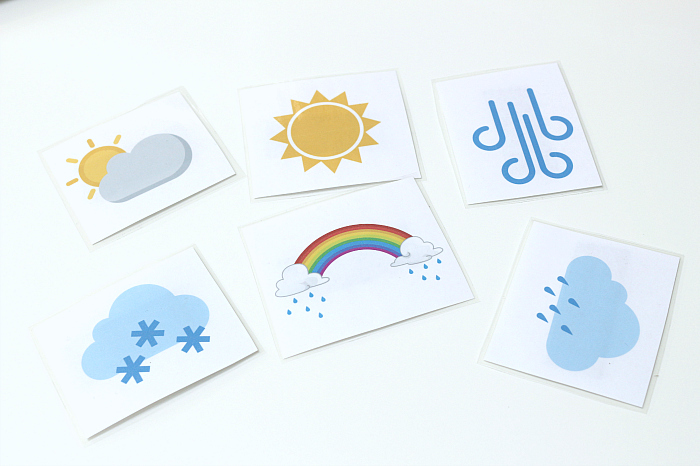 Start by printing out the printables and cutting the weather cards out. 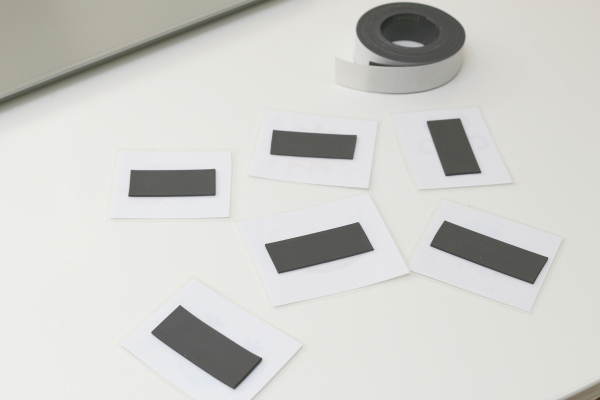 Add the magnetic tape on the back of the laminated cards. Add some to the back of the mat sheet as well. 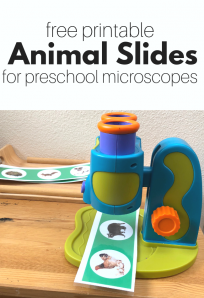 Pop the cards in a container and display the cookie sheet. 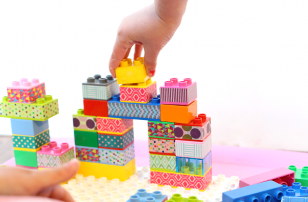 Let the kids play! 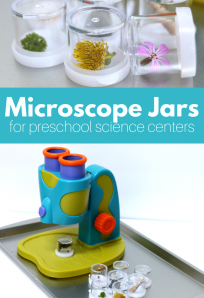 We have been talking a lot about the word observing in my class. We observe the weather and then report it. This will lead in nicely to our next area of study in science when we observe as caterpillars metamorphosis into butterflies.